Skiing is my passion. I love being in the mountains, so much so that I’ve loved spending the last three winters working as a rep in the Alps. Having skied for many years I’ve been fortunate to be able to visit a lot of ski areas. Les Trois Vallées one of my favourite, a top ski destination in the Alps and I love it so much that I’ve been skiing to Méribel three times in the last four seasons alone! 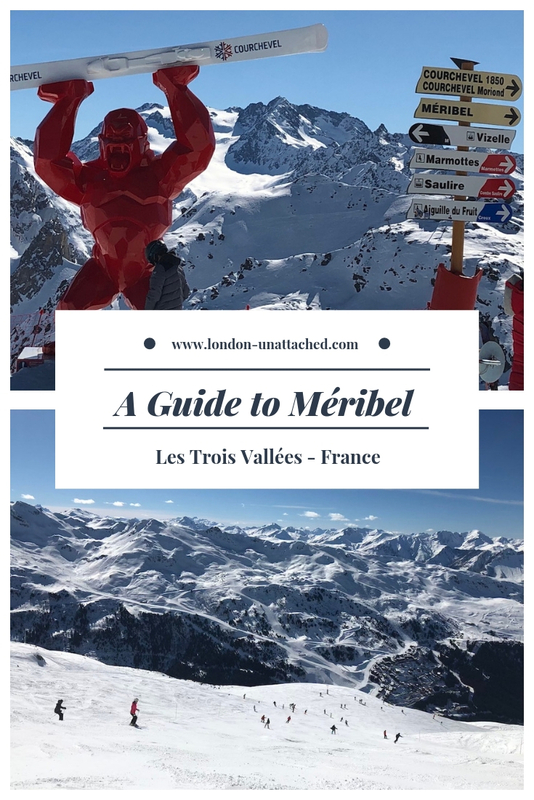 Here’s what makes Méribel ski resort so special – the heart of Les Trois Vallées for me. Set in the Tarentaise region of Savoie in the Alps, Les Trois Vallées claims to be the largest ski area in the Alps linked by lifts and pistes, covered by a single lift pass, with a total area of around 600km. 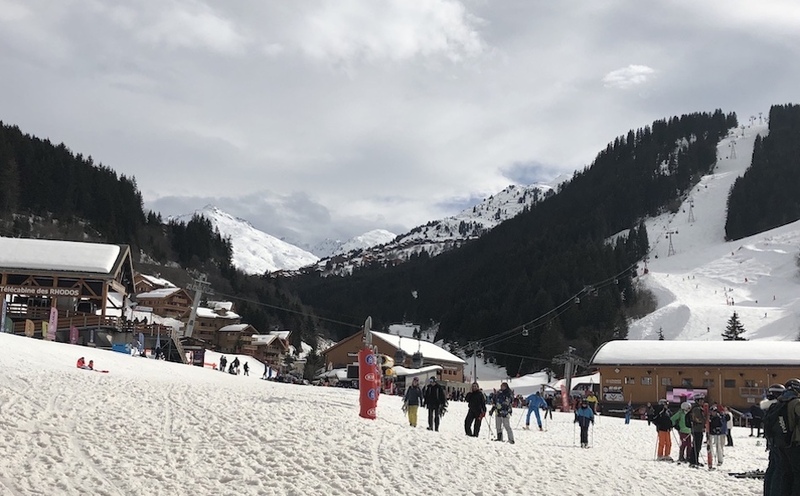 Stretching from La Tania and Courchevel Le Praz to Val Thorens and Orelle there certainly is a huge amount of skiing possible. There’s more than enough for the average skiing holiday of a week, you really can spend a whole day on the slopes without skiing the same run twice. I’ve stayed in both Courchevel and Méribel over the years, Méribel, the middle valley, is ideally situated to make the most of the skiing available in Les Trois Vallées as you can either choose to go over by the Saulire Express gondola lift to Courchevel or head in the other direction towards Les Menuires and Val Thorens. 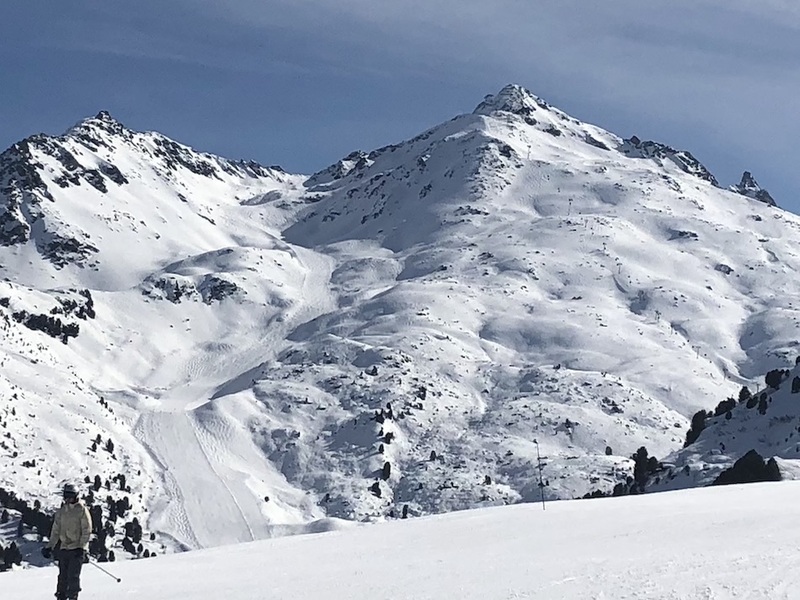 Another option is to go to St Martin de Belleville taking the Tougnete lift from La Chaudanne, the central lift station for the lifts in Méribel, this picturesque village has an alpine charm not evident in the other areas of Les Trois Vallées. 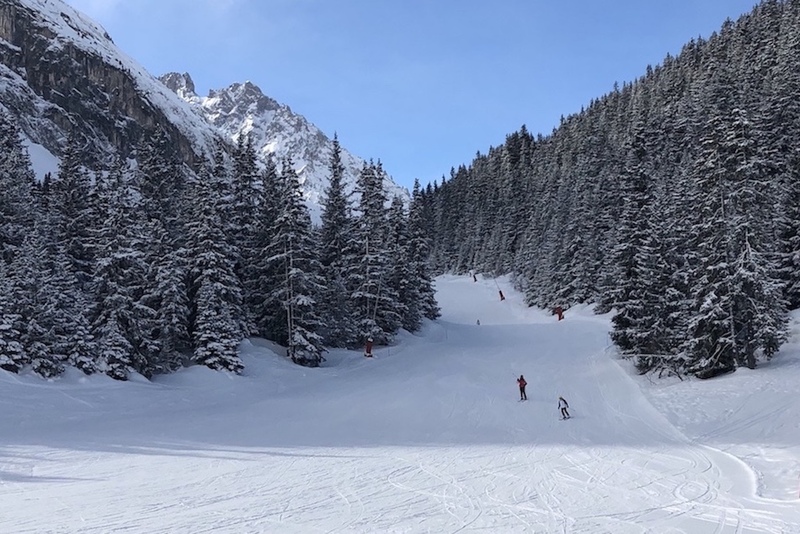 The skiing in the Méribel Valley has something for every ability, from beginner to advanced skier; there are nursery slopes in Méribel-Mottaret and around the Altiport area, some long blue runs, lots of red runs and blacks including the Face run back down to La Chaudanne. Some of my personal favourites are the two long reds down from Mont du Vallon, recently made more accessible by the new gondola. When you reach the top there is an amazing view of the surrounding mountains. Jerusalem is another piste starting on the ridge above Méribel ski resort, with a red or blue option this sweeping rollercoaster run takes you to the St Martin Express chair. From the top of the chair, you can either ski all the way down to St Martin de Belleville, head back towards Méribel or try some of the reds or blues towards Les Menuires and Val Thorens. La Chaudanne, the central lift station starting point in Méribel has three gondolas taking you up the mountain; Rhodos 1 and 2 towards the beginner’s slopes at the Altiport, the Saulire Express gondola 1 and 2 the way to get over to Courchevel, the Tougnete gondola going up the other side of the valley and the new Legends chair lift. This high speed, heated chair, complete with bubble covers, is new for the 2018/2019 season replacing the old chair which was prone to long queues. As Méribel is at the heart of Les Trois Vallées it’s an ideal base from which to explore the wider area. 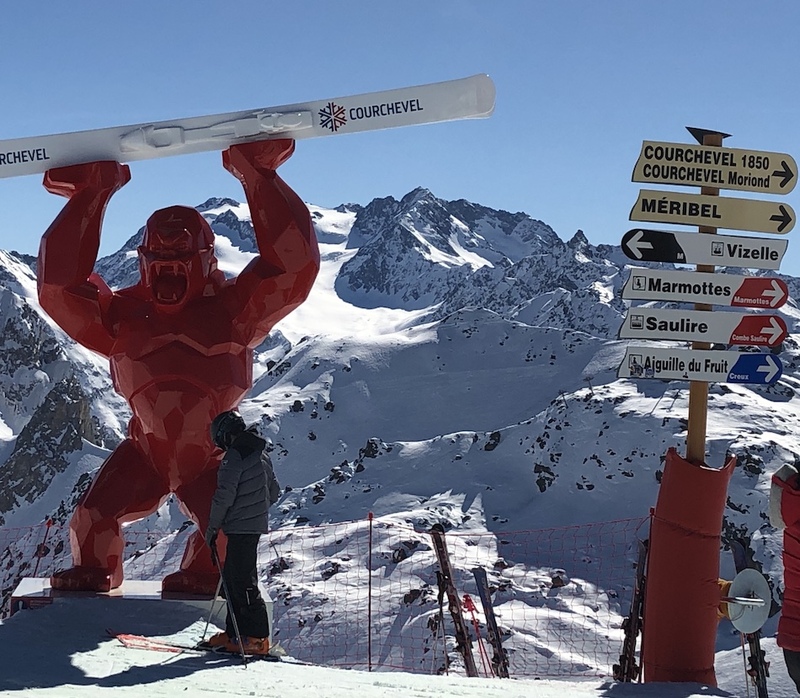 You can easily spend a whole day over in Courchevel skiing runs such as the blue Creux down to the Aiguille du Fruit Chair, Combe de Saulire, a sweeping red taking you to Verdons or one of the black runs such as Suisses or the black option down from the Chanrossa chair. Snow permitting you can ski further down to La Tania or Courchevel Le Praz, the lowest village in Courchevel. 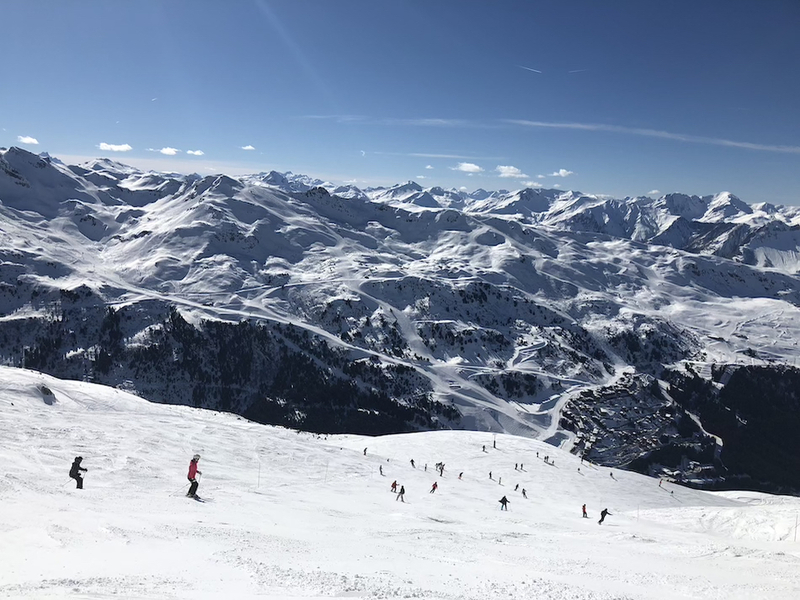 If you head towards Les Menuires or Val Thorens there are lots of runs to choose from including Venturon a great red run back down from the Côte Brune chair. 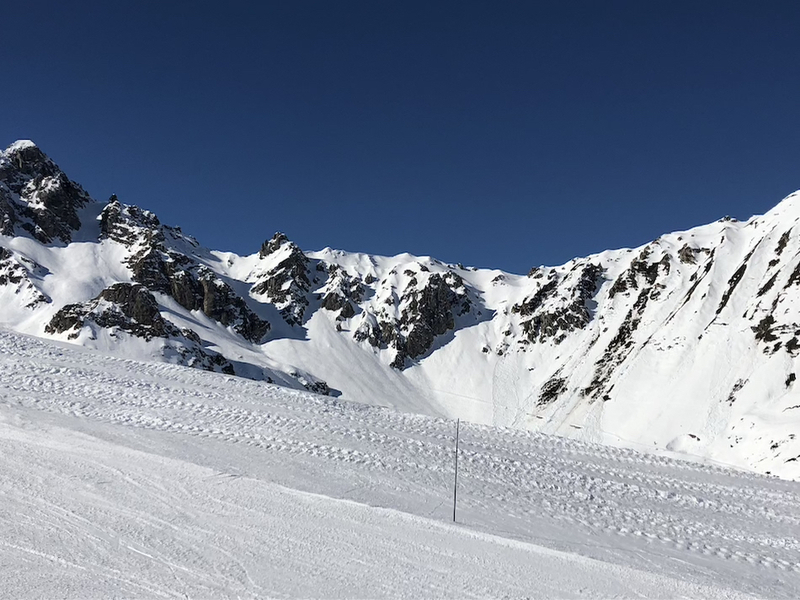 If it’s open head up to the top of La Pointe de la Masse from Les Menuires, another excellent spot to take in the breathtaking beauty of the surrounding scenery. With so much skiing available Les Trois Vallées is a good choice if there is a general lack of snow. With such a large area, including the snow sure skiing in Val Thorens, the highest ski resort in the Alps at an altitude of 2300m, there are always options not possible in lower resorts. Both Méribel and Val Thorens have their own Folie Douce, popular venues for après-ski on the mountain. 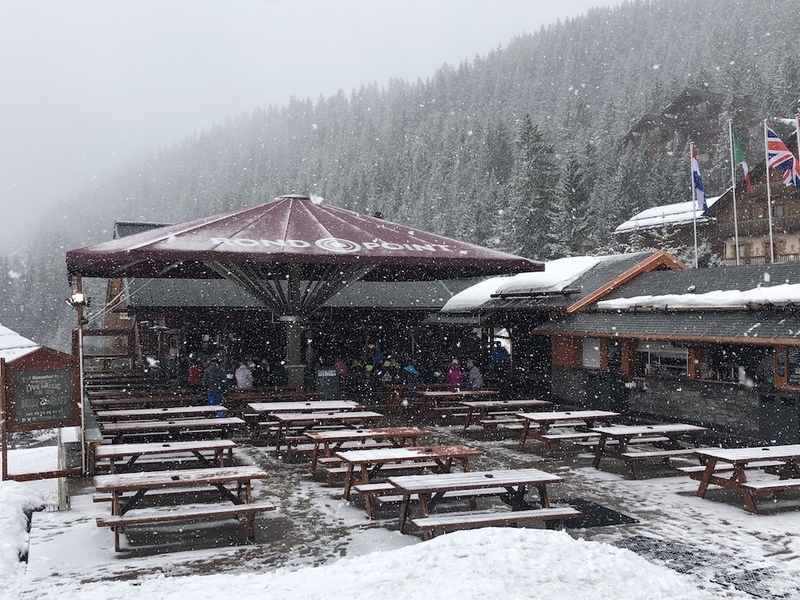 Ronnies at Rond Point is another firm après favourite on the way back to the centre of the resort, you can always catch a bus back, there’s a bus stop almost immediately outside if you don’t want to ski afterwards. In the centre of Méribel are La Taverne, Barometer, O’Sullivans (formerly Dicks T Bar), and Scotts to name a few. Meribar, close to La Chaudanne, is a good bar to stop at for a drink after skiing and is ideally situated for the bus stops serving the resort. As you would expect there are restaurants serving hearty, traditional, Sayovarde specialities, such as Fondue, Tartiflette and Raclette, as well as Pizzas and burgers. Eating out is not cheap but far more reasonable than it would be in Courchevel 1850. 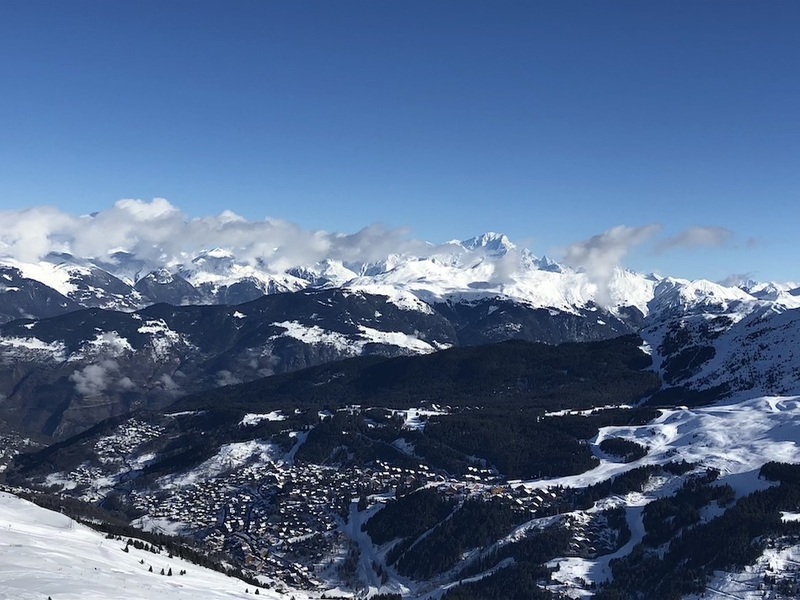 If you are looking to ski in a large area with lots of long intermediate runs I would definitely recommend Méribel ski resort as an option. I know it won’t be long until I personally go back there, there’s everything I need in the resort to make for an excellent holiday. Méribel is very popular with the British skier with a high proportion of chalet accommodation in the resort. As you would expect there are a lot of travel companies offering chalet holiday options there. Amongst them Ski Total, Ski Beat, VIP Ski, etc. If you are looking to compare holidays, Ski Solutions or Iglu Ski are larger sites with details from most of the major operators. For self- catering holidays or hotels in Méribel, www.merinet.com would be a good place to start. 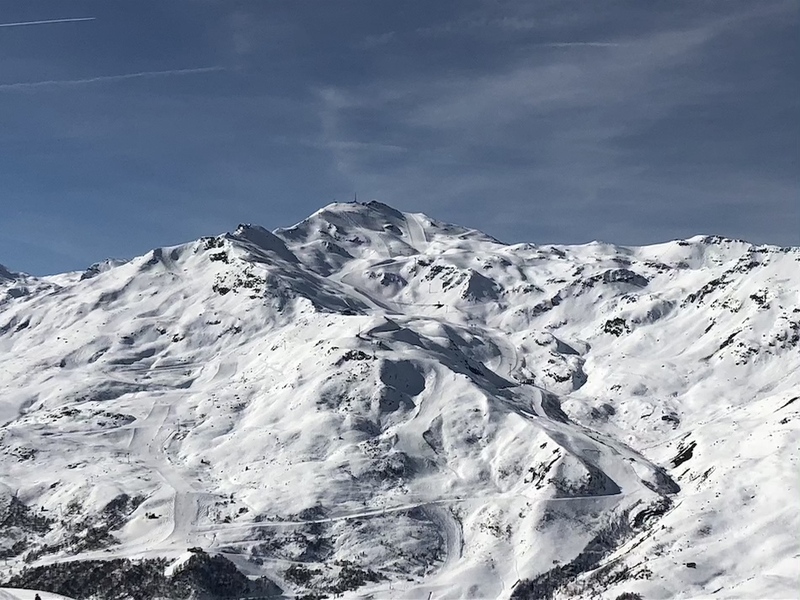 Lift passes can be either for the Méribel Valley or Les Trois Vallées, the full ski pass, see https://www.les3vallees.com/en/ski-pass/skipass-rates/. If you already have a three valleys lift pass you can recharge it online, saving time and helping to be environmentally friendly. Look for the discounted options if you are travelling as a family or part of a larger group. 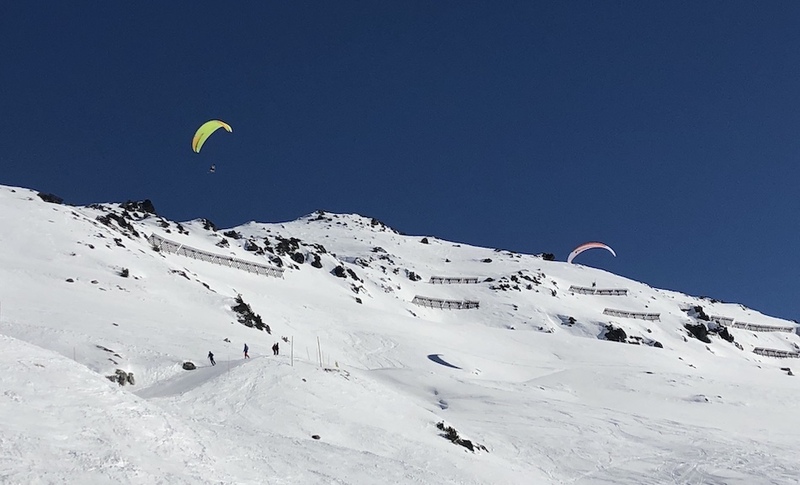 Méribel can be accessed by flying to Chambéry airport, the closest airport with a transfer time of around one hour and a half (Chambéry is prone to closure in foggy weather), or Geneva which has more flights and is around two hours transfer time. I would love to go skiing. It looks lovely here. Pictures are beautiful.